Dobromir Dimitrov had very good teams in his career. In this movie we can see that he was setter in Perugia. 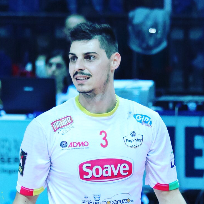 Dobromir Dimitrov is one of the best setters in Bulgaria. He played in national team in World League 2014.